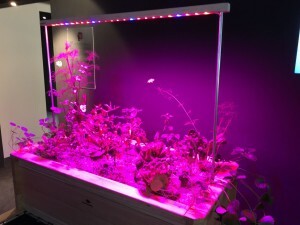 Our product at the exposition "J'aurai 20 ans en 2030"
After a few years of development, GDtech finally released it’s own LED product which has been studied to help the photosynthesis of the plants. This product is a real progress in the indoor culture, which becomes more and more usual. This LED module is then perfectly placed in the exposition “J’aurai 20 ans en 2030”, where are shown a lot of futuristic products, which will become ordinary in a few years.